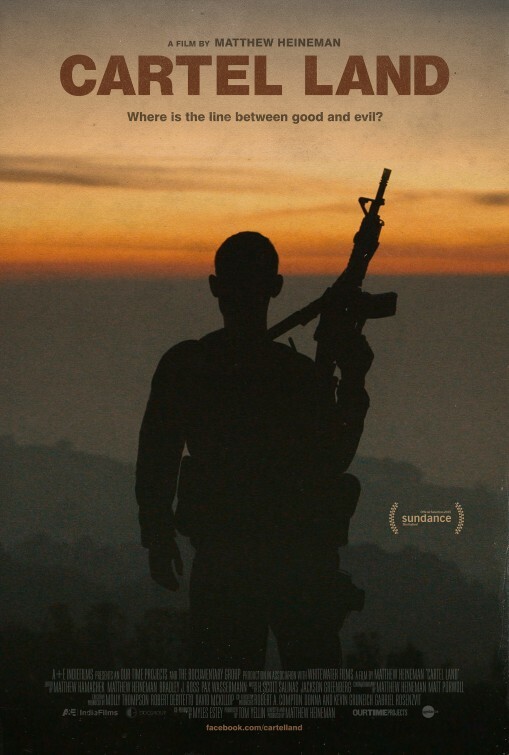 Like Academy Award Winner Kathryn Bigelow’s critically lauded “The Hurt Locker” and “Zero Dark Thirty”, the bracing “War on Drugs” documentary “Cartel Land” takes aim at being an A-political thriller. As executive producer, similarities between her last two films (that in many circles are called modern classics) and this are in abundance, but it’s director Matthew Heineman and his truly daring creative vision that makes this one of the must-see documentaries of the year. 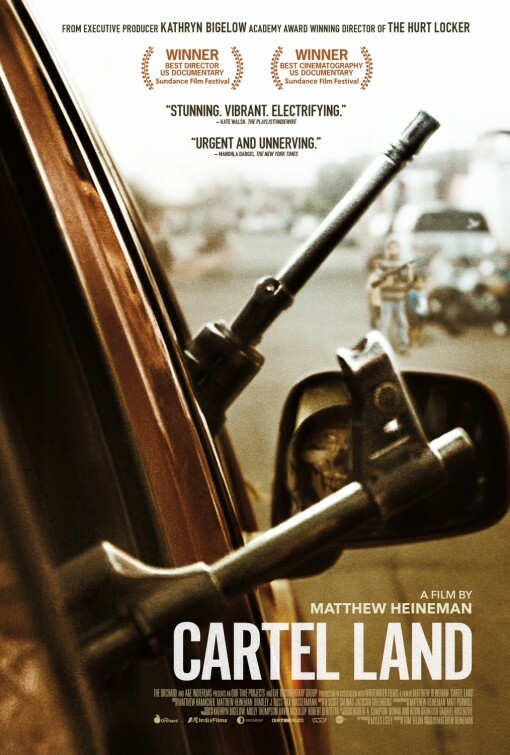 With from-the-headlines relevancy, “Cartel Land” takes on the hot-button issue of the “War on Drugs” with crazed determinism — Heineman interviewed actual cartel members while operating the camera himself. There are fire fights, and they are captured in real-time. Intense. 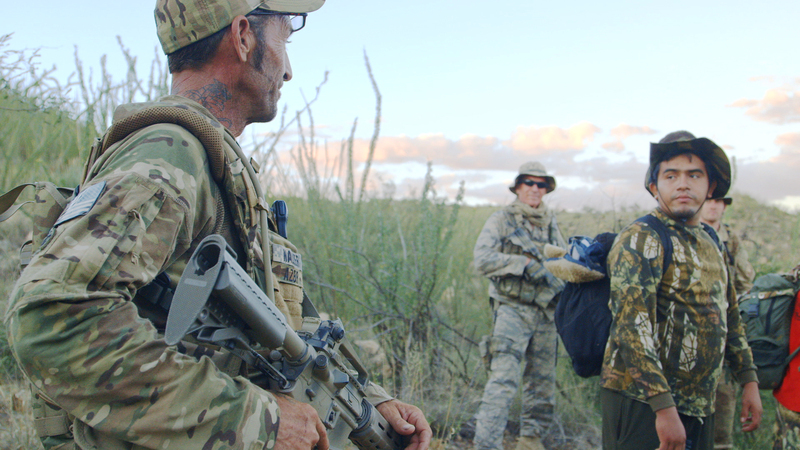 If some documentaries aim for a clinical, sanitized “talking heads” approach, “Cartel Land” is down, dirty, and a fly on the wall. The filmmakers are unafraid, or at least bravely willing, to get knee-deep into the action and the result is often thrilling. Moreover, Heineman and his filmmaking team have a talent for on-the-go cinematic beauty, giving the documentary a big-screen sheen that never undercuts the realism of the doc. In a Mexican-border spin on A Tale of Two Cities, we spend our time in two main locations fit with two protagonists. Heineman poises them as the U.S./Mexican “version” of the same thing: a self-armed vigilante fighting against the Cartel. The first of the two follows Arizona Vigilante and Border Patrolman Tim “Nailer” Foley, a gun-toting family man with a southern drawl who tells us the closest police or military help is a forever away. What began for him as a typical border patrol to catch and turn over illegal immigrants quickly escalated into a militarized, organized force to combat the encroaching cartel. 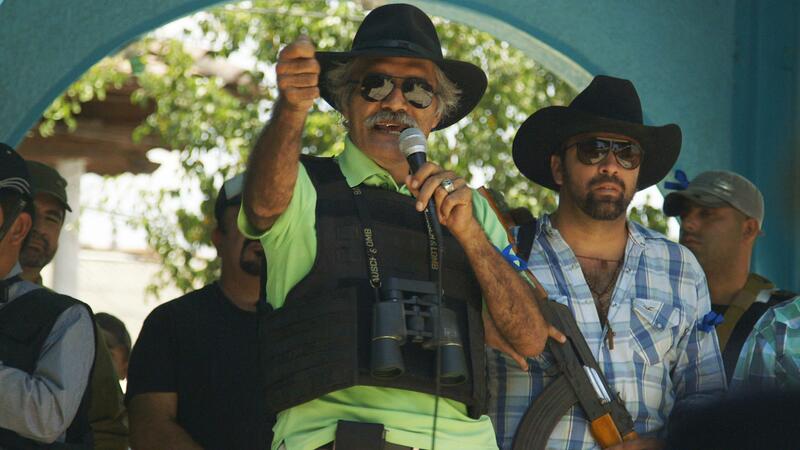 The more compelling of the film’s two protagonists, though, is Dr. José Manuel Mireles, charismatic figurehead for the vigilante militant group Autodefensas. He leads them through a pair of Ray Ban sunglasses and warm, plain-speaking leadership, taking his men from city to city around Michoacán, Mexico. They march through, identifying, incarcerating, and, in some cases, killing the Cartel members inhabiting these towns. The violence is often grueling but Heineman is unapologetic in his quest to capture realism. Scenes show Foley and his men, outfitted in camo and assault rifles, prowling the arid Arizona hills at night, trying to apprehend or kill cartel scouts. For these men, danger is a chosen way of life, closer to a calling than a career. They feel motivated from personal tragedy but also national defense, seemingly bringing full circle America’s long-held obsession with vigilantism. While Foley’s story isn’t as explosive as the exploits of Mireles, seeing a United States everyman take charge isn’t just an important part of this story, it’s necessary. He’s one of the answers to a long-held question consistently probed by politicians: how to deal with the cartel. Whether what he does is just or moral in nature is a question we’re left to ponder. In fact, Heineman includes footage of the two protagonists saying and doing things that can only be described as morally compromised. Mireles, charismatic and virtuous to the public eye, is shown semi-creepily preying on young women less than half his age. And having met his wife earlier in the documentary, by the time he openly cheats on her, we feel an extra ping of defensiveness for his life partner. Likewise, Foley’s casual racism, an apparent consequence of illegal immigrants that forced him out of work, is not glossed over. Regardless of your personal politics on immigration, making it an important prerogative for you to turn over often starving, battered, and bruised families, would not sit well with most people. 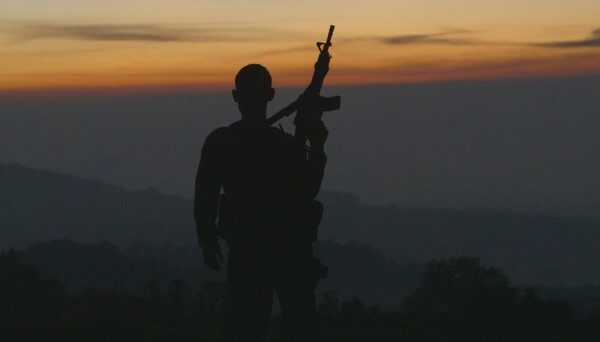 But it’s exactly that “Cartel Land” is so forthright and honest that it earns a biting level of truth. Heineman won’t look away at the unsavory aspects of its two protagonists in the same way he won’t look away from the violence and bitter realities of the war on drugs. Watching Foley and Mireles doesn’t feel prepared or carefully orchestrated with pre-shooting and instead plunges you into the heart of darkness of anti-cartel vigilantism by proxy of its flawed main characters. Curiously, much of the compelling content was spontaneous and not possibly planned at the start of the shoot, such as Dr. Mireles’ plane crashed in what possibly or even probably was an assassination attempt. His delicate recovery is chronicled in suitably dramatic fashion, concluding with a tear-jerking reunion with family; his face is tragically partially paralyzed. Likewise, there’s a raid by the corrupt Mexican government on the Autodefensas that tried to confiscate their weapons—a breathless, clock-ticking moment of pure suspense—that just coincidentally happened as the cameras were rolling. Documentaries can paradoxically reek of artifice, recreations that capture an element of the truth instead of the raw, unedited version of reality (Werner Herzog famously shoots his documentaries that way, calling the style ecstatic truth), but because the institutions at play in “Cartel Land” are so massive and clearly out of the field of manipulation by the filmmakers—the government, the Autodefensas, the cartel— these events unfold bracingly and with uncommon hard-hitting authenticity. As a radical study in vigilantism and a vital piece of the puzzle in the crippling War on Drugs, “Cartel Land” succeeds.